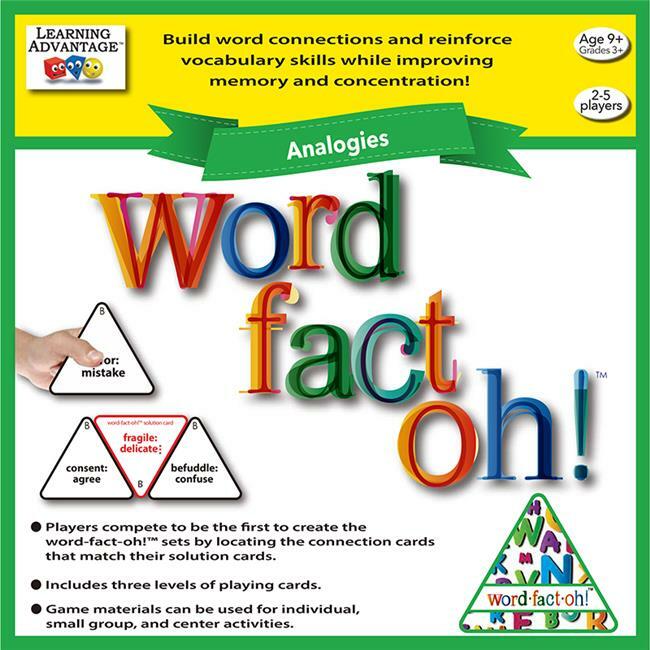 Use concentration and memory to find the three analogies that connect with each solution card. Winner is the first player to accurately combine the four cards and build a word-fact-oh! triangle for each group of connected cards.